Discussion in 'Android News' started by DroidModderX, Dec 26, 2016. Cyanogen has been having all kinds of trouble lately. Earlier in the year the company had made a pivot from a full on OS company to a company providing their own version of apps and services. This seemed to be a viable alternative for the company, but it would come with significant layoffs. 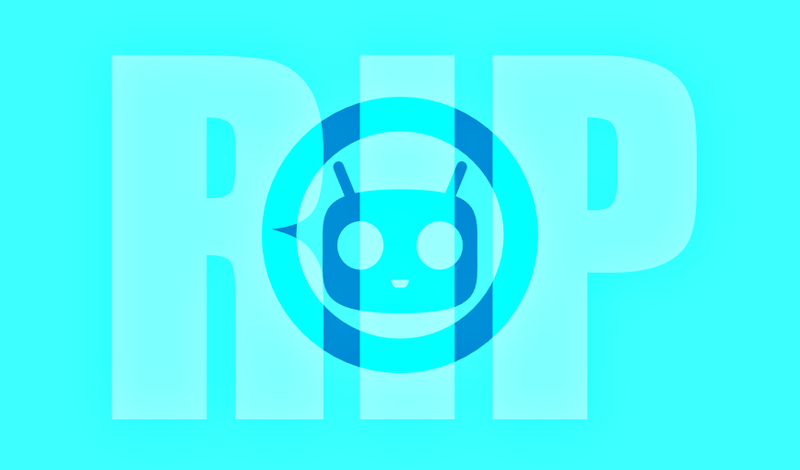 As the company shrunk it seemed it would only be a matter of time before we would see changes coming to our beloved CyanogenMod rom series. The new push towards "CyanogenModular" would mean great changes to the total structure of the company. Cyanogen just announced that many people including the originator of CM "Steve Kondik" would be moving on. They also announced that all cyanogen services including nightly and stable builds will be ended on December 31. The rom will live on in what the company is calling "LineageOS". LineageOS is meant to be a grassroots effort at keeping the Rom series alive. This would be a collective effort from developers that have been responsible for maintaining devices over the years, and the hope is that there won't be any difference seen by the consumer in regards to rom builds and releases. Who knows if this will take off. We all know that many of the lower popularity roms are based on CyanogenMod. CM has always done an excellent job of working out bugs and getting things working sometimes even without source code. This is why many roms are based on CM. Without CM it is possible that we would see the development of other secondary roms slow down as well or at the very least have extra bugs and functions not working. Hopefully LineageOS will take off and we won't see the end of rom development. Roms are still a great way to keep older devices updated. Do you think this major change in the CM landscape will have a detrimental effect on the development community? Was a huge fan of their ROMs back in the day I was into flashing ROMs. Very solid ROMs with great little add-ons that Google has caught up on. I liked their stuff as well, until 2 years ago. When they tried to monetize things it went straight into the toilet. Crappy end to this chapter. I remember laughing and being incredulous when they announced funding "valuing the company at over $1B"....along with the rumored rejection of a buyout offer from Google(?). This will hurt the rom community, probably. But I really only care about root access, and devices are being locked down so tight now that it's a long wait for root and maybe never for the bootloader (if you don't buy a developed device). This is a serious blow to the ROM flashing community. I wonder what happened with CM that they couldn't stay afloat.